The Capella Orangeries is a unique modular system that is a simple yet effective add-on to a standard conservatory. The options available include a high fronted feature aluminium gutter that conceals the end of the glazing bar, and an internal full-height plaster boarded soffit ideal for downlighters or speakers. 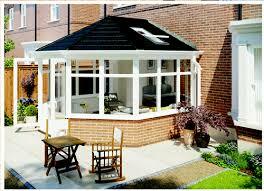 An appealing orangery solution, designed to complement the K2 conservatory roof. 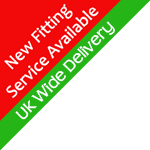 All our conservatories are built with energy-efficiency in mind using the very latest uPVC and glazing technologies. The classic, clean-lines of the Edwardian (Georgian) conservatory offers an ideal way to economically maximise the space in your home. The Lean-to conservatory, is the simplest style of conservatory, with clean lines that give it a contemporary look and make them a popular conservatory for modern houses. Clean, simple lines that complement every style of property make a Lean-to conservatory the perfect choice for a modern garden conservatory room. Victorian Conservatories: The most popular style in the UK, the Victorian conservatory has a traditional look that suits the majority of properties.